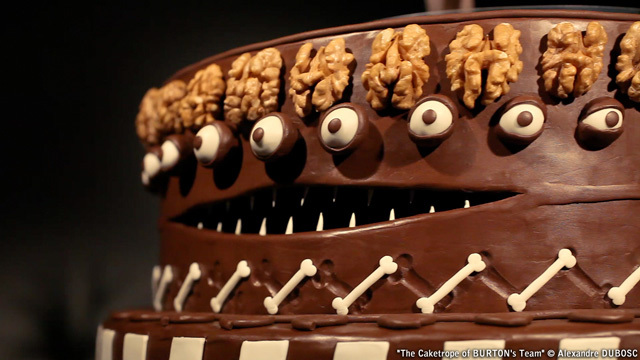 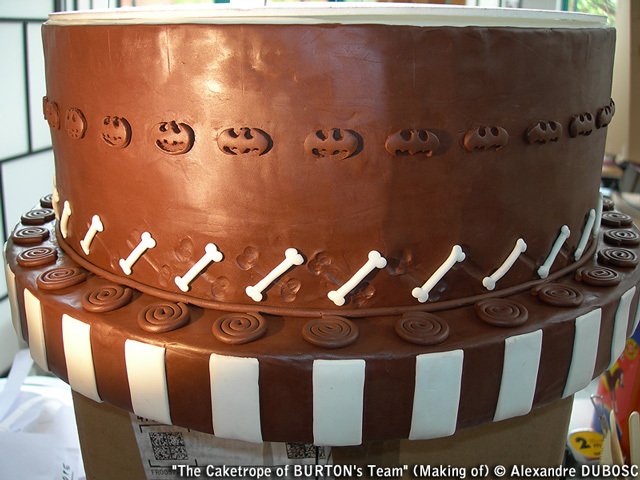 French food artist and filmmaker Alexandre DUBOSC has created an amazing animated zoetrope cake inspired by Tim Burton. 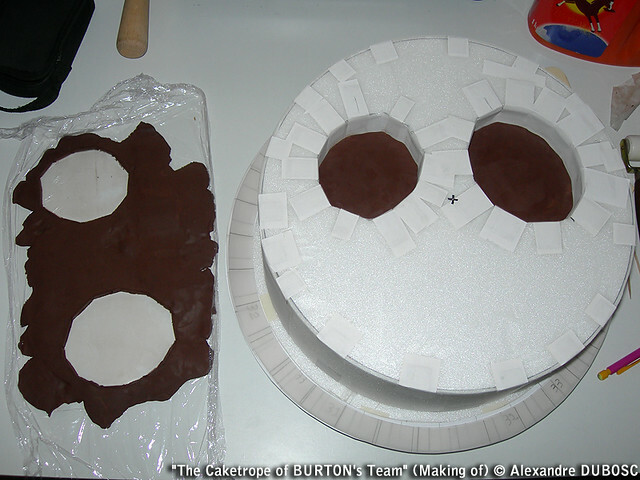 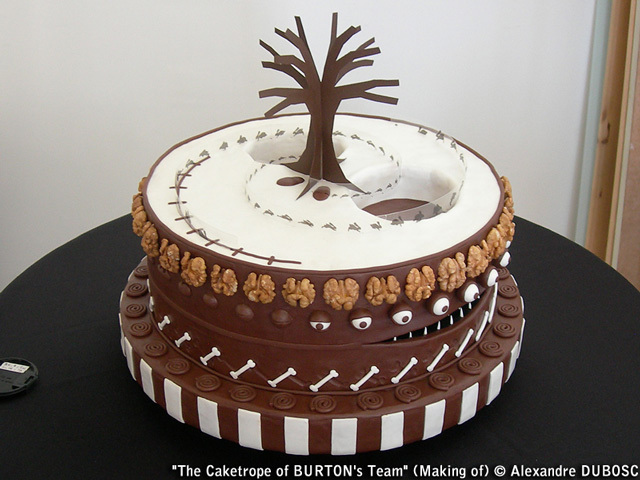 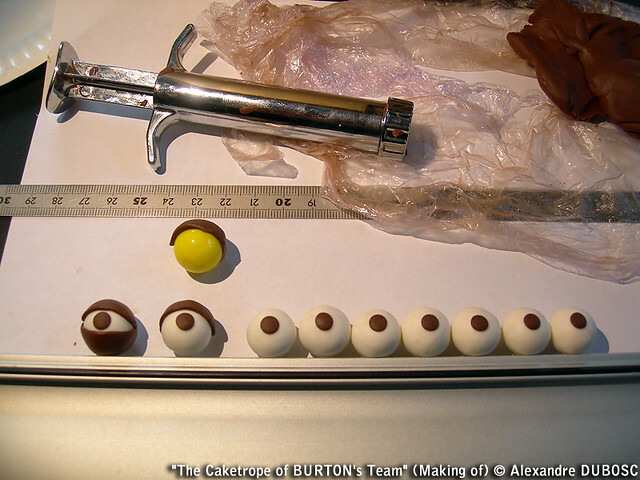 It is titled The Caketrope of BURTON’s Team and it incorporates elements from some of Burton’s films, including The Nightmare Before Christmas and Batman. 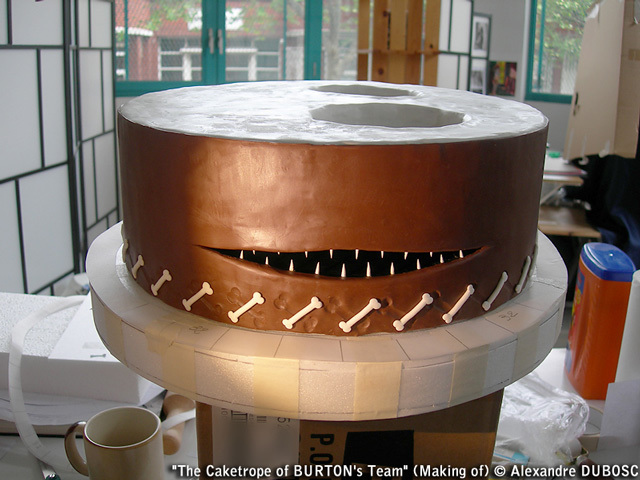 You may remember DUBOSC created Alimation, another edible zoetrope animation. 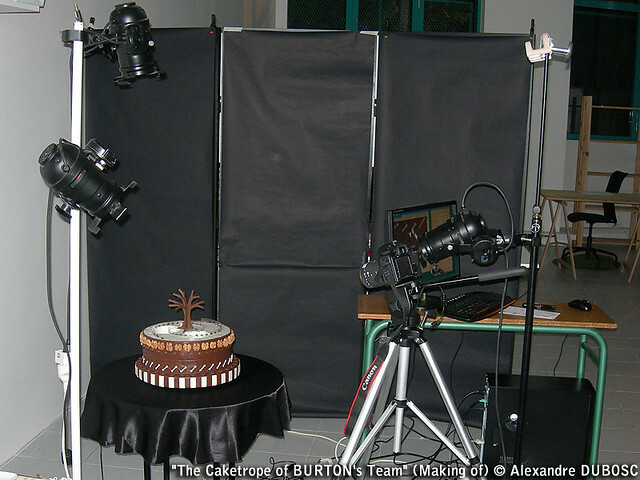 DUBOSC has posted a set of the film’s “making of” photos that are worth checking out.